Recent advances in mobile sensing and computing technology have provided a means to objectively and unobtrusively quantify postural control. This has resulted in the rapid development and evaluation of a series of wearable inertial sensor-based assessments. However, the validity, reliability and clinical utility of such systems is not fully understood. This systematic review aims to synthesise and evaluate studies that have investigated the ability of wearable inertial sensor systems to validly and reliably quantify postural control performance in sports science and medicine applications. A systematic search strategy utilising the PRISMA guidelines was employed to identify eligible articles through ScienceDirect, Embase and PubMed databases. In total, 47 articles met the inclusion criteria and were evaluated and qualitatively synthesised under two main headings: measurement validity and measurement reliability. Furthermore, studies that investigated the utility of these systems in clinical populations were summarised and discussed. After duplicate removal, 4374 articles were identified with the search strategy, with 47 papers included in the final review. In total, 28 studies investigated validity in healthy populations, and 15 studies investigated validity in clinical populations; 13 investigated the measurement reliability of these sensor-based systems. 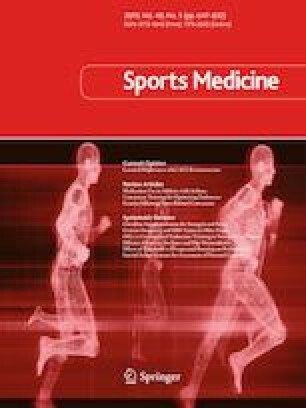 The application of wearable inertial sensors for sports science and medicine postural control applications is an evolving field. To date, research has primarily focused on evaluating the validity and reliability of a heterogeneous set of assessment protocols, in a laboratory environment. While researchers have begun to investigate their utility in clinical use cases such as concussion and musculoskeletal injury, most studies have leveraged small sample sizes, are of low quality and use a variety of descriptive variables, assessment protocols and sensor-mounting locations. Future research should evaluate the clinical utility of these systems in large high-quality prospective cohort studies to establish the role they may play in injury risk identification, diagnosis and management. This systematic review was registered with the International Prospective Register of Systematic Reviews on 10 August 2018 (PROSPERO registration: CRD42018106363): https://www.crd.york.ac.uk/PROSPERO/display_record.php?RecordID=106363. William Johnston and Brian Caulfield were funded by Science Foundation Ireland under their Grant for the Insight Centre for Data Analytics (SFI/12/RC/2289). Martin O’Reilly receives funding from Enterprise Ireland (CF/2017/0739). Rob Argent receives funding under the H2020 Marie Sklodowska-Curie grant agreement (no. 676201). These funding bodies had no influence on the data collection, data analysis, data interpretation or approval/disapproval of publication. William Johnston, Martin O’Reilly, Rob Argent and Brian Caulfield have no conflicts of interested relevant to the content of this review.